Can't get enough of the song Treasure, Locked Out of Heaven, Lazy Song and Just the Way You Are? 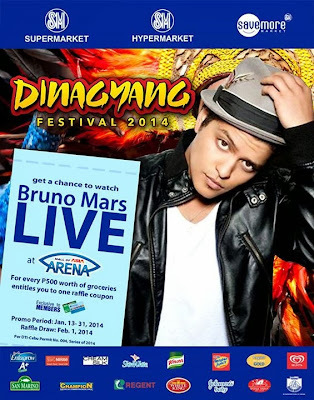 Then this is your chance to see Bruno Mars live at the Mall of Asia Arena on March 22, 2014. In cooperation with SM Supermarket, SM Hypermarket and Savemore market, SM Retail stores are giving away a pair of tickets to two lucky winners ( 1 from Iloilo, 1 from Cebu) to the Moonshine Jungle World Tour in Manila! Inclusive of roundtrip airfares and hotel accommodations. Truly awesome isn't it? Make a single receipt purchase worth 500 pesos to earn a raffle ticket. Fill the ticket with all required information. 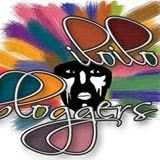 Drop it at the designated drop boxes in the participating Iloilo and Cebu stores. It's easy as 1-2-3! So shop now and you'll never know you might be the lucky winner of this concert ticket! Deadline for submission of entries is on January 31, 2014. Grand draws will be on February 1, 2014 simultaneously at SM Supermarket in SM Supermarket Mandurriao and SM City Cebu at 3pm. SM Supermarket North Reclamation, Consolacion and Mandurriao; SM Hypermarket Subangdaku, JMall and Jalandoni St.; and Savemore Market Maguikay, Canduman, E-Mall, Mactan, Parkmall, Maribago, Basak, Libertad St. and Jaro Town Square.